Somehow almost a year has gone by since I last posted in this blog. It happened in a blink, the way my number of kids went from one to two, the way my baby is now in preschool and wearing Spiderman underwear. Slow down, Time. The reason I’m so busy is I’ve been making a movie! Okay: it’s a documentary film, but “movie” sounds more glamorous so I am sticking to it. Why a movie? Because it’s a great way to get a lot of important information to a lot of people. But first, some background. 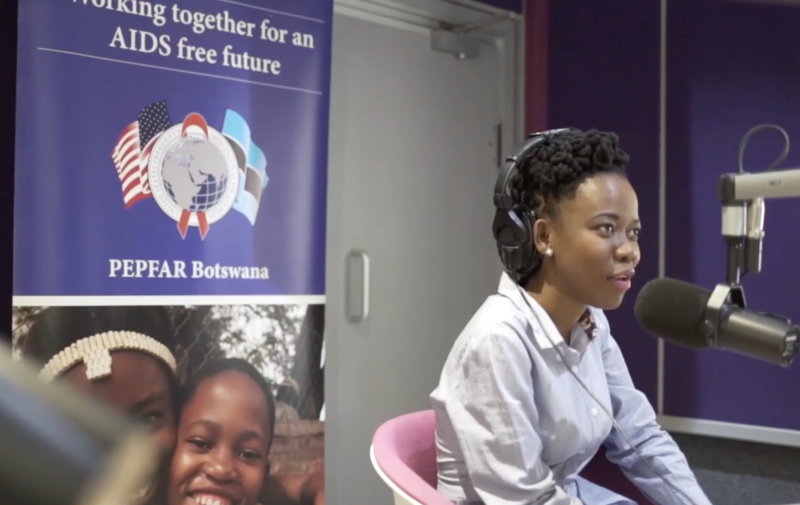 Since I started working in HIV communications in Botswana two years ago, I’ve learned more things about HIV/AIDS than I can even list here, and almost every single one of those facts has been a surprise. I grew up in the Ryan White era, the Magic Johnson era, the era where the scariest thing most of us could comprehend was getting AIDS from their dentist (which happened, to a young woman named Kimberley and five other people). Back then HIV was a death sentence. The time from diagnosis to succumbing to AIDS was about a year. We knew enough about the infection to be terrified by it, but not much else. Since then several decades passed, but my knowledge didn’t grow a lot. When we first considered moving to Botswana for work in the summer of 2012, I was concerned to read that the country had the second highest prevalence of HIV in the world (now it is third). I knew by then that it was impossible to transmit the virus through casual contact, but it still gave me a second’s pause. But of course we moved here anyway and I spent the next three years gaining absolutely zero new information about HIV/AIDS because I was working in the field of economic growth and trade. HIV just didn’t seem to affect my life that much. 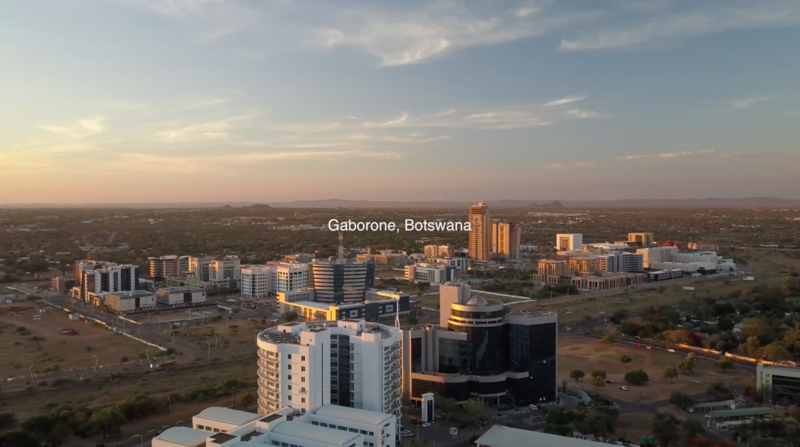 Cut to today, when I have worked off and on over the last year to produce a 40-minute documentary featuring five Botswana citizens living well on treatment and their remarkable, inspiring stories. Now I am fired up to clear up as many myths and misconceptions about HIV as I can using all the U.S. government resources we can scrape together. And I know we all have these misconceptions, because neither my fancy pants education, nor living in a country for years where one out of five people has HIV, helped me at all in that regard. So let’s get started. a) HIV treatment can keep you from infecting your sexual partner with HIV. b) If you test positive for HIV, you must start taking medication immediately to avoid brain damage. c) HIV medication is fairly toxic to the body and has a host of serious side effects. d) If you are a mother on HIV treatment, you can have a baby who is HIV negative. e) If you are on HIV treatment, you can live a long life. Okay, Magic Johnson let the cat out of the bag on that last one. I still remember how shocked everyone was when the year 2000 rolled around and he was still alive (as he still is, and doing great, at age 58). But how about the rest: what are your guesses? Every single statement above is true, except “c.” HIV medication has evolved significantly over the years, and side effects for most individuals are very low. But what about those others? I feel as though, until two years ago, I had been living under a rock somewhere not realizing some very basic facts about HIV. If you are on treatment and it is working to the point that the level of the virus is undetectable in your blood, you will not transmit HIV to your sexual partner, period. Did you know that? This was shocking to me when I learned it. I was also fairly stunned to find out that an HIV-positive woman can have an HIV-negative baby. Again, viral suppression is the key: if you take your medication regularly and that medication is working, your children will be HIV-free. Unfortunately, it’s also true that the longer you wait to begin HIV treatment, the more damage to your body occurs, with the latest research showing brain damage is one result. Getting on treatment helps to reverse that damage. It wasn’t just Stanley. Each of our movie stars had fabulous things to tell me: not so much the basic facts of HIV anymore since I had finally picked those up, but about being bold and open about your reality in the face of stigma, about turning your situation into advocacy for others, about pushing hard for your dreams regardless of opposition or rejection. Masedi is also in the documentary: a 23-year-old living with HIV since birth who spends her time in eloquent activism on live radio broadcasts as opposed to, you know, the kinds of things I was doing at age 23: watching Ally McBeal, searching for happy hour specials, listening to Lauryn Hill on repeat. Pontsho has the double burden of being both gay and HIV positive in a country where homosexuality is still technically illegal. But he doesn’t wear it like a burden: his face, “glowing and handsome as ever,” as he puts it on film, tells a different story of energy, optimism, and a bright future. And speaking of futures, I dare you to watch Edwin and Maria–a couple so adorably and deeply in love their affection leaps off the screen–talk about their quest to have HIV-negative children without a tear coming to your eye. I mean seriously good luck with that. I should mention there are some famous people in the film also: former presidents from both the United States and Botswana that I had the lucky opportunity to interview as well. They were pretty good too. But the images you will remember the most are Maria laughing at Edwin’s duck-like noises as he kisses her cheek, the photo of Masedi as a baby being held by her loving mother, Pontsho eating ice cream while window shopping at the mall, and Stanley striding in slo-mo next to our Ambassador, on a mission to stop HIV and save his country. The film is premiering next Tuesday evening, with a red carpet event here in Gaborone and I’m so excited to start the task of showing it to every single person in Botswana that it almost doesn’t matter that I haven’t slept much in ages. I didn’t know enough about HIV and how possible it is to live a long, full life on treatment, but now I do. And it’s my (amazing) job to help make sure as many people as possible in this country get that message too. Sara, you’ve done an amazing job! I’m looking forward to the premier on Tuesday. Thank you so much Tim, and for all the Embassy support! !